Our tested and proven workflow will fit effortlessly into your current design project so that you can focus on delighting your client while reducing your workload. During the initial step of our process, we take time to learn about you, your project, and your specific window treatment or soft goods need. Be prepared to spend a few minutes completing our work order form. The more detail you can provide, the better. We will contact you to set up a time to measure your project and discuss the project details. We can provide hardware and accessories upon request. This step may require several phone conversations or in workroom meetings. Please note: A flat fee for our measurement services will apply. Once we've finalized the materials and designs with you, we will proceed to order the necessary items and begin the fabrication process. 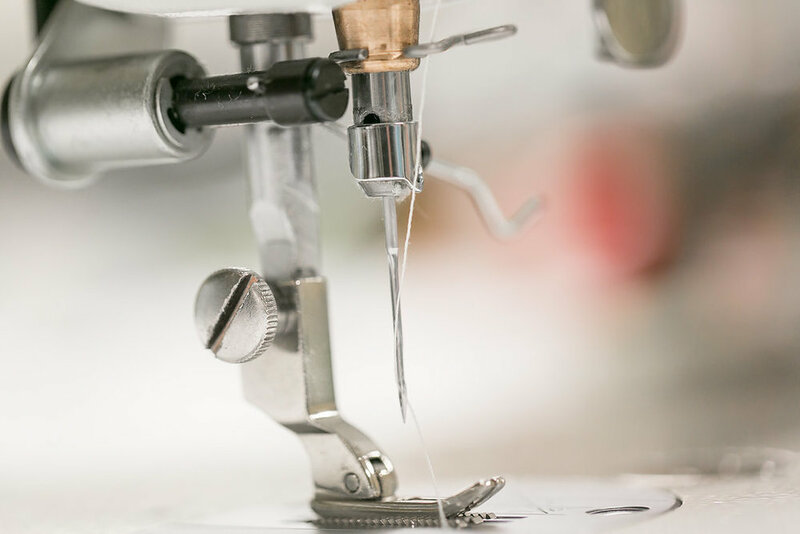 Our professional workroom and attention to detail will become your ally throughout this time, and we will update you on the status of the project along the way. Feel free to schedule a visit to our workroom during this time. We'd love to have you! Please note: All visits to our workroom require an appointment. Please contact us to schedule a time slot. On installation day, we come equipped with our own professional window treatment installers and work to style and accessorize the piece under your guidance. When we call ourselves the interior designer's best friend, we mean it!